Dean has this nice black shirt with white buttons. It’s actually a short-sleeved shirt – for all that sunny weather, I guess. 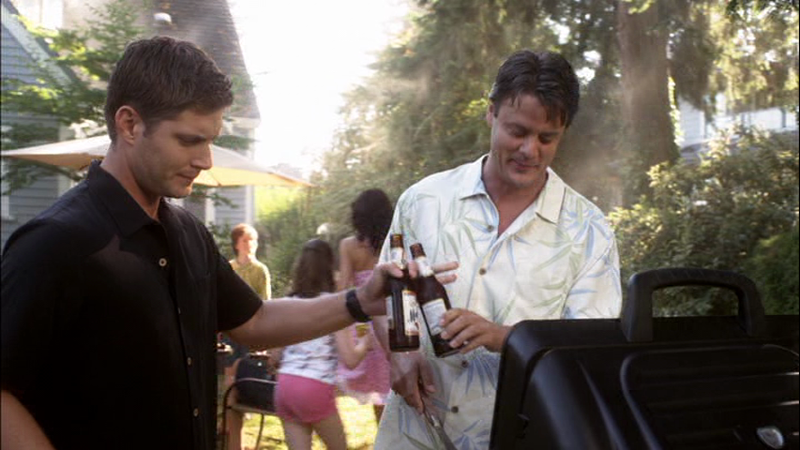 In Exile on Main St. (6x01), Dean wears this to the BBQ in the montage of his life with Lisa and Ben at the beginning of the episode. FATE: Hunters don't wear short sleeves! I'm guessing this shirt stayed behind at Lisa's.